Turn left outside the Jules Maidoff Palazzo in Florence†, walk to the first traffic light, turn left and walk up the hill until you reach via della Collona. Go right, soon you will arrive at # 9. You are standing outside the 13th century Monastry of St. Mary Magdalene De’Pazzi, now a school. It is open, only, on Tuesday and Thursday afternoons. 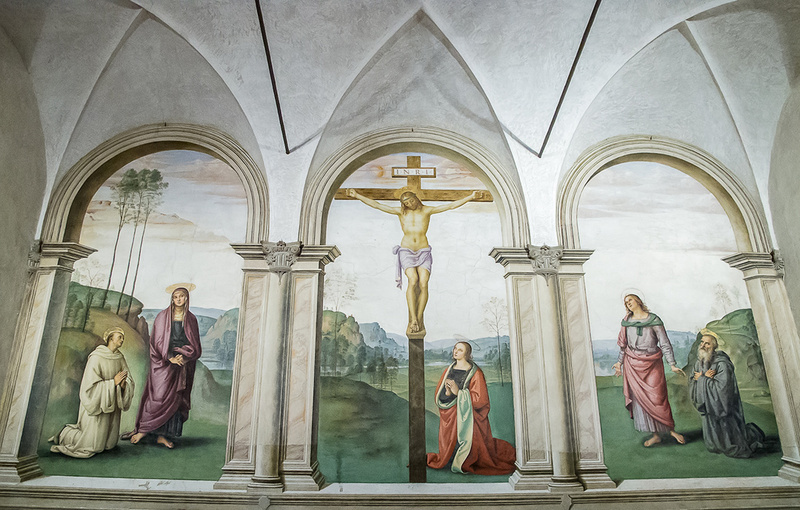 Inside you will find an extraordinary fresco: a crucifixion by Perugino, painted between 1493 and 1496. Go left into the chapter room near the entrance and prepare to be astonished! If you are like me you will have a trancendent experience. It is painted in a manner that belies the subject matter. There are many crucifixions in Florence but it confirms my belief that how a work is painted, makes all the difference in how it communicates meaning. I go in close and take notes with my camera. Tiny brushstrokes are whispers that caress the folds of fabrics, dark to light. The tall, slender trees echo the vertical line of the cross, their leaves barely kiss the sky. The overall feeling — the balance between the figures, the architectural elements and the landscape — is one of extreme tenderness. I sit on a bench at the back of the room. I have the luxury of time to appreciate this sublime painting. 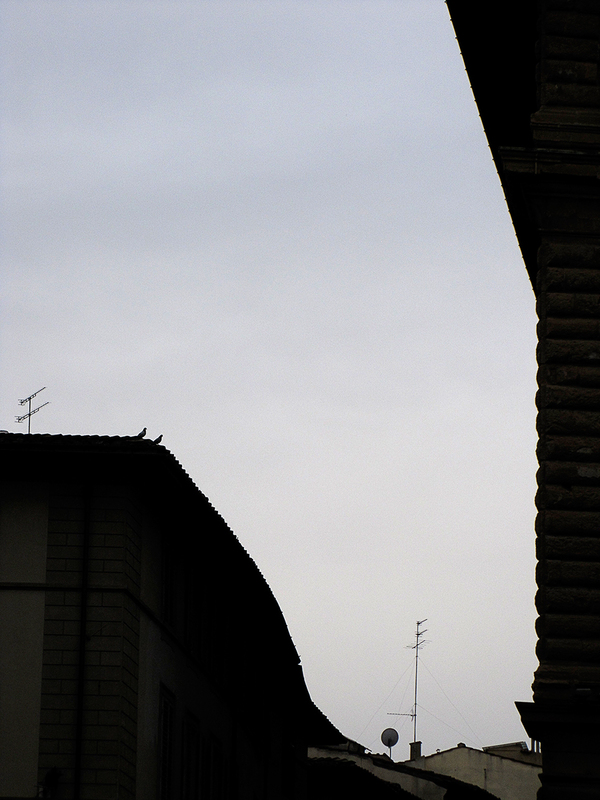 I spend most of my days in Florence looking up! In this city of religious art I find myself drawn to photographing the sky. Elements of architecture are the containers for sky. Having a philosophical bent, I ponder the idea of “infinity”. Looking upwards I find myself thinking about something Clarice Lispector asks in A Breath of Life “Could there be a number that is nothing? That is less than zero? That begins where there is no beginning because it always was? And was before always?” It seems to me, the sky is the only constant wherever we are. Its “nothingness” is the universal. My camera is an extension of my arm. It rests in my pocket at the ready. On my return home last summer, after taking thousands of photographs, I painted. The paintings are influenced by the photographs. But the color and materials are contemporary. I use bare canvas as a constant reminder of beginnings. 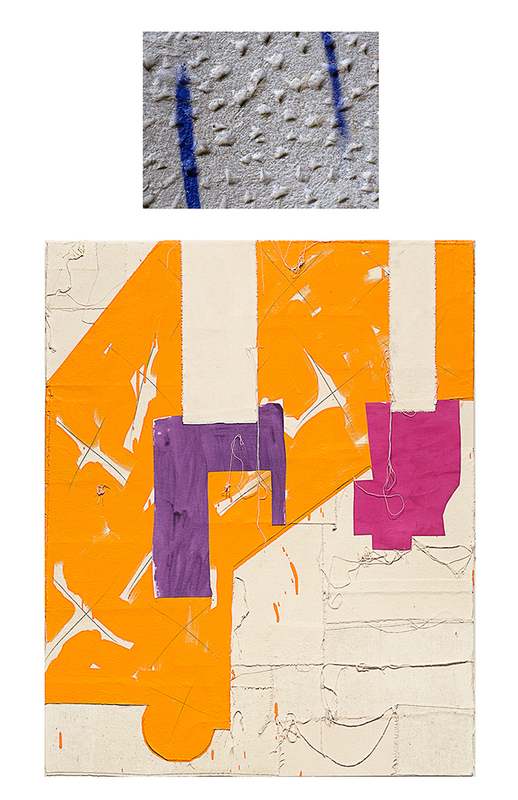 The physicality of the paintings is contrasted with flat photographs. I think about ways of “being” and ways of “seeing”. What constitutes “being” and what constitutes “seeing”? 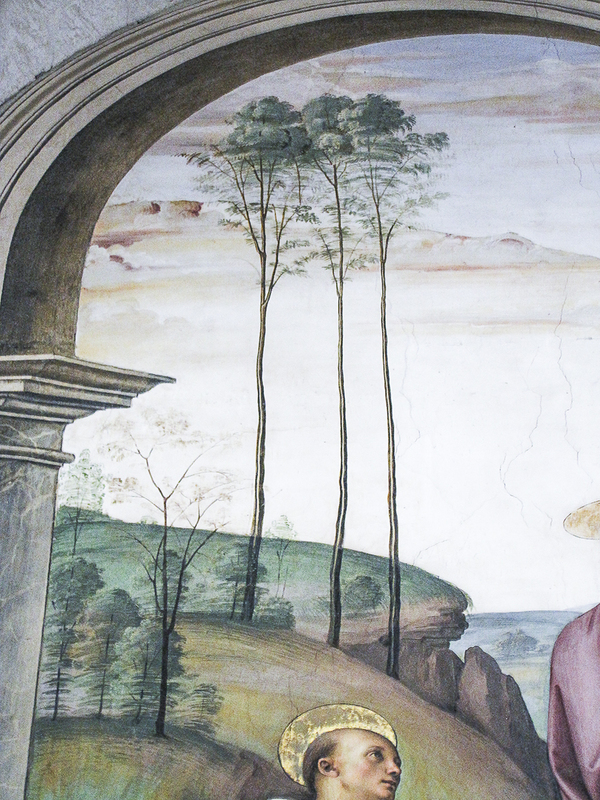 And so I circle back to Perugino! 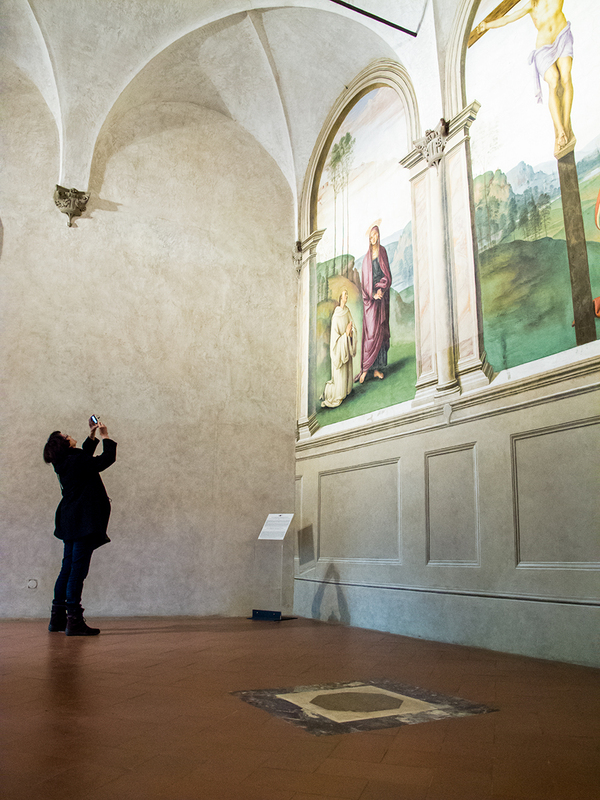 † I lived in Florence for 4 months as mentor for students from MICA’s semester abroad program, Spring 2014. They attend SACI (Studio Art Centers International), a university founded by Jules Maidoff in 1975.